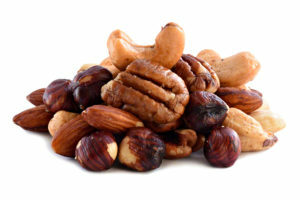 Our almond trail mix roasted no salt is a fantastic grab-and-go snack that can be tossed in a lunch bag, taken on a road trip or accompany you on a weekend adventure. 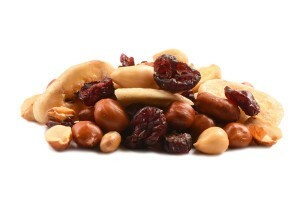 This healthy mixture includes crunchy, buttery almonds and crisp earthy flavored peanuts along with sweet chewy raisins. This combination can satisfy almost all of your snack cravings. Almonds, Peanuts, Raisins Seedless, Sunflower Oil. Raisins Product of Chile or USA. Very good for an unsalted mix. This simple low sodium mix is great – toasted almonds can’t be beat!